So it’s cold today. Very cold! At least I get to pull out my two favourite Winter warming pieces – leather and denim. 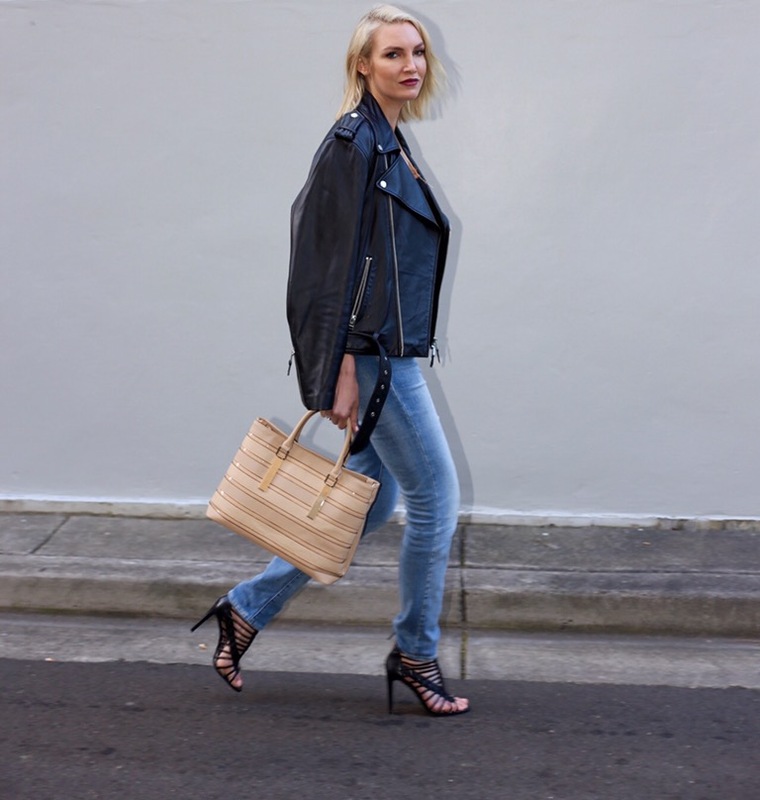 Wearing: Levi’s distressed straight fit denim, Jean Paul Gaultier leather jacket, Rodeo Show singlet, Wittner heels & Colette by Colette Hayman bag. ….And in case you were wondering- yes I chopped my hair off with the help of my fav Syd stylist, Amanda Blonde.